Posted by OeWF in AMADEE-15 Simulation, Expeditions/Simulations, OeWF News. 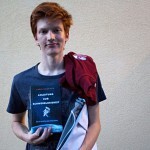 Update: AMADEE-15 competition has concluded! 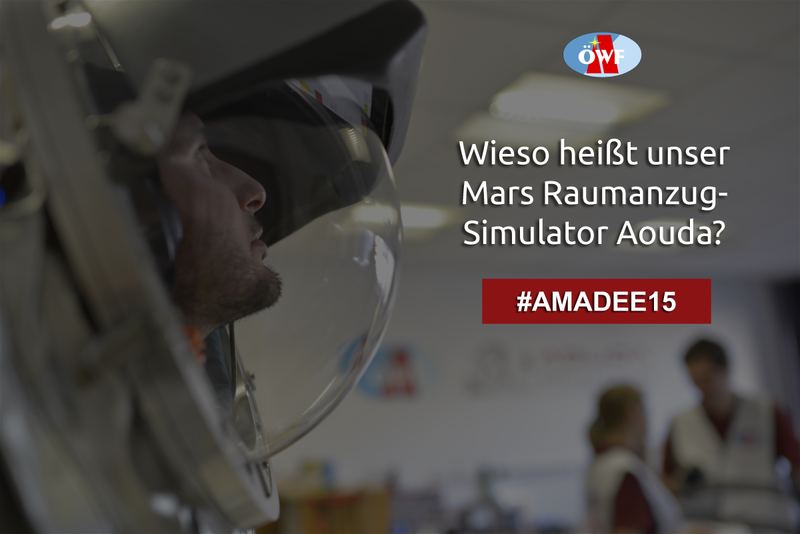 The AMADEE-15 competition has concluded on Monday, 6 PM. We want to thank all participants for their numerous creative questions which will be answered in the upcoming days. The winner will be notified via email. 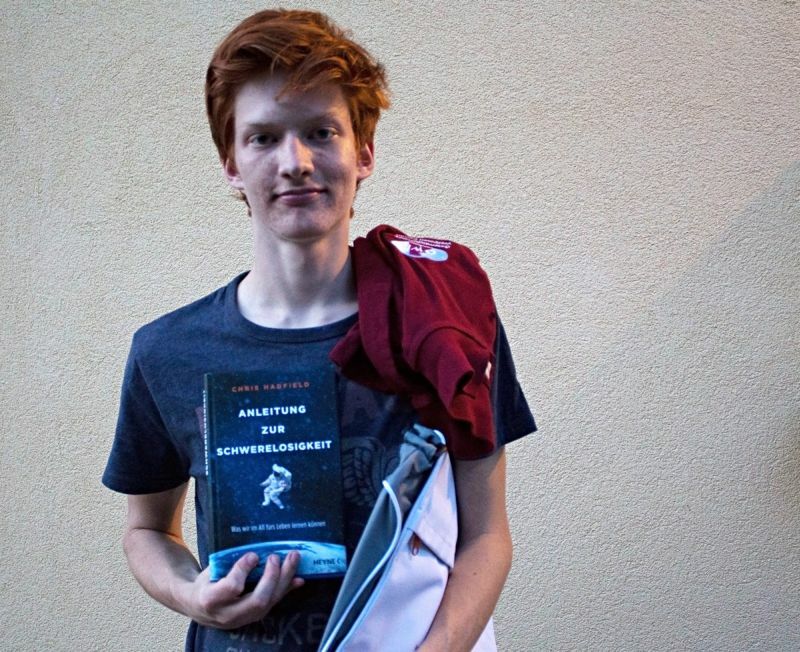 Andreas Egger with the winning prize. Winning question: On Mars the color “Red/orange” is predominant. Will the astronauts desire after other colors after some time on Mars or do they get pictures, objects etc. against “homesickness”? The answer to this question can be rewatched here. Between 3rd and 15th August 2015 we will conduct our 11th Mars analog simulation. This time the Kaunertal glacier in Austria will serve as site for a simulated human Mars mission. Have you ever wondered what a Mars analog simulation actually is? Do you know why our spacesuits are called Aouda? And why is the OeWF conducting the AMADEE-15 mission on the Kaunertal glacier – wouldn’t a desert be more suitable? This question will be send to our field crew on “Mars” to answer it via video message. Additionally, the winner will get an AMADEE-15 goodie bag as well as 2 ski tickets for the Kaunertal Glacier. Moreover from all transmitted questions you can win a signed book from astronaut Chris Hadfield (german). Questions can only be sent to us via a comment on this post, Facebook, Twitter or Google+. We can only consider questions which include the hashtag #AMADEE15 and are sent to our official accounts. Questions can be sent in English or German. Only 2 questions per person will be considered. By taking part in the competition, the participants agree that the Austrian Space Forum (OeWF) can use their question and name in public communication on our website and social media channels. The OeWF reserves the right to pick a winning question and this decision is final. The OeWF reserves the right to cancel or change the terms of the competition at any time. The OeWF reserves the right to exclude participants immediately if they are found to be violating the law, social standards or these regulations. We are very much looking forward to receiving your questions! 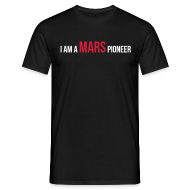 [Ended] AMADEE-15 Contest: Are you a Mars Pioneer?